A walk down memory lane – Live MoHo! As I woke this morning Google Photos decided I needed to be reminded of what I was doing a year ago. It turns out one year ago I was also travelling. 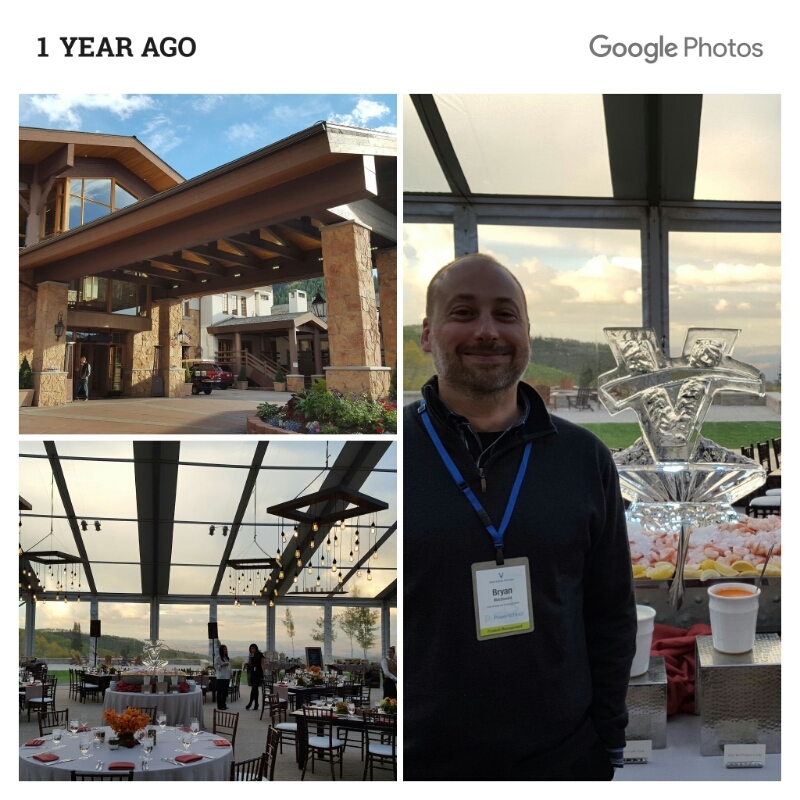 I was attending the Vista CxO summit in Deer Valley Utah. Why Google thought I needed my memory refreshed of this weekend a year ago is beyond me. But it was a stark reminder of how much can change in a year. When those photos were taken I was a senior executive at a rocket-ship software company with a house in California, 2 electric BMWs a convertible BMW roadster, a motorcycle, and more frequent flyer miles and hotel points than I knew what to do with. A year later, I’m unemployed, homeless, driving a Jeep and living in a van. Everything I now own would fit into my old guest bedroom. With room to spare. I haven’t been at an airport, let alone on an airplane, in almost 9 months. I don’t know where I will be sleeping two weeks from now. Ok, that’s a little dramatic. I chose to take a break from work. My “van” is a 39′ diesel pusher Fleetwood Discovery with tile floors and nicer countertops than my house. I don’t miss flying or airports at all but have put 10,000 miles on my Jeep and 8,000 on my MoHo. The only board meetings I have these days are with myself when I contemplate how many boards to put under my hydraulic leveling jacks. And the only reason I don’t know where I will be sleeping in two weeks is because I haven’t reserved a campground spot yet. In that time, really just six months of truly being on the road, I’ve seen places I had only read about before. 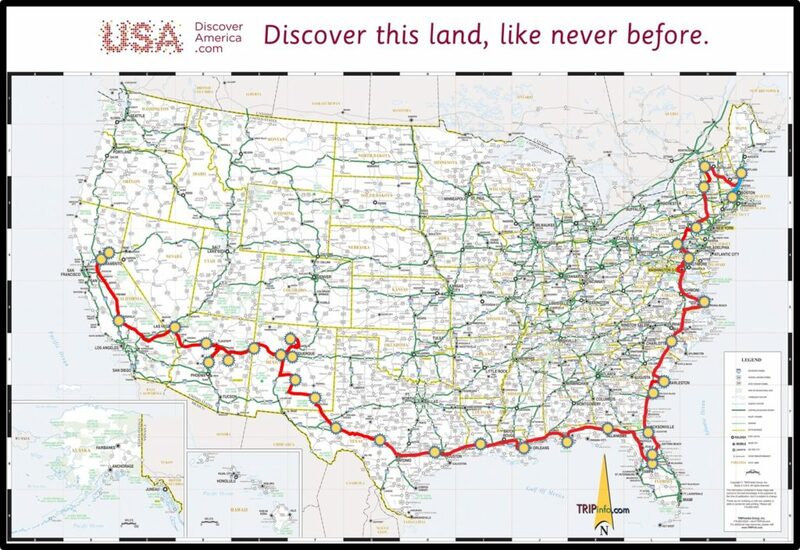 I’ve eaten green chile in New Mexico, barbeque in Charleston, gumbo in New Orleans, shrimp in Florida, fried catfish and okra in Texas, cheese grits in Savannah, steak in Washington DC (across from the White House), pasture cheese in Vermont, and fresh lobster in Maine. I flew in an open cockpit helicopter over Fort Sumter. I sat in an airboat over a swamp in Florida. I touched a 1000 year old Indian pueblo. I descended 900 feet into the Earth and walked through one of the most amazing caves in the world. I watched a million bats boil up from the same cave and fly off into the sunset. I saw the Grand Canyon emerge from the fog right in front of my eyes. I walked on the edge of the biggest meteor crater on Earth. I stood on the corner in Winslow Arizona too. I paddled a kayak on the Guadalupe River. I’ve been on a boat on Lake Champlain. I visited the Mardi Gras float factory. I walked on the whitest sand I have ever seen and jumped into the most amazing emerald-color water. I stood next to a rocket and I touched the moon. I’ve been caught in an unexpected snowstorm and grazed by a lightning strike that made my skin tingle. I have been whipped by a thunderstorm, blasted by blowing dirt, baked in 100+ degree heat, frozen in cold weather, and learned more about watching the weather than I ever had to do before. I met old friends/family in Vegas, Williams, Florida, New Hampshire, Maine, and New York. I met some new ones too, like these in Albuquerque. I saw both sets of my parents too in White Rock and Albuquerque which was really nice. And I did it all with the best travelling companion ever! Heather, I love ya lots!! 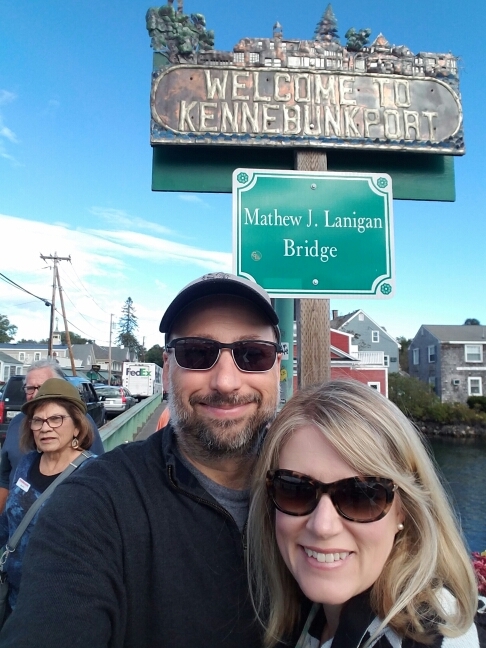 It wouldn’t be the same trip without you! So it has been quite the change since one year ago! I miss my friends at PowerSchool. And the thrill of building amazing software, meeting a customer, or working on a marking campaign. Heck, sometimes I even miss budgets. But I wouldn’t trade these experiences for anything! Thanks Google for triggering the walk down memory lane!